It takes quite a bit of work to keep your home cool during the summer and warm during the winter. This often means that your energy bills can climb higher than normal. Give your hard-working house a break by installing some affordable energy efficient curtains and window treatments. Having these special types of blackout curtains and drapes in your home will offer your household several advantages over traditional window dressings. There are four different types of heat loss that occur around windows: conduction, infiltration, convection, and radiation. 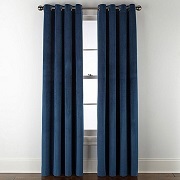 Energy efficient curtains help to prevent heat from leaving and entering your home. You've probably found yourself cranking up the A/C during the summer. With energy efficient curtains from JCPenney, your home will stay cooler, the sweltering heat will stay outside, and the cool air from your A/C stays in. 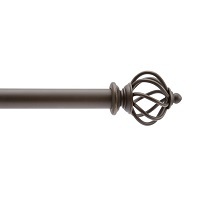 All year long you save money while maintaining the perfect home temperature with style and value. Insulating curtains and blackout curtains do wonders for your bank account. The amazing thing about our affordable blackout curtains is that they come in the same beautiful styles and colors as traditional window dressings. 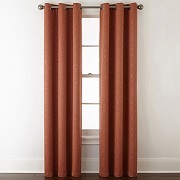 Shop our savings and find stunning grommet top curtains from Liz Claiborne, JCPenney Home, and many other brands. Play with color and texture by layering sheer curtains with solid curtains to create fun or modern new looks. This is an easy way to redecorate your home without spending a lot of money. 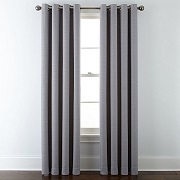 Treat your home to a double dose of insulation and thermal power by complimenting your curtains with blackout shades. You can grab modern designs or fun patterns. Whatever your style, whatever your vision, we have the affordable selection to make them come to life in your home.